Many young or not-so-young couples often get married abroad and the number is increasing and is quickly becoming the norm. This comes as no surprise as there are so many places and different types of weddings to choose from, not to mention the weather; well at least it’s much more likely to be warmer and dryer than the UK. So, what’s out there for you? 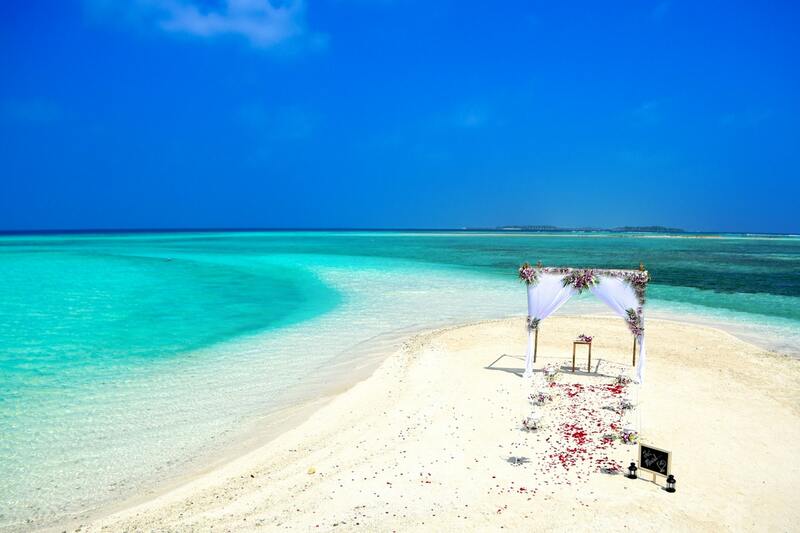 Get married on a secluded beach – this is not as expensive as you would perhaps first think and there are some magnificent destinations with secluded beaches so be sure to have a look online (you may have a particular destination in mind). Some of the secluded beaches may have extra elements such as rock pools, tidal pools, coves, tunnels, beach bars and so on. There are also great views and venues available in some destinations that allow you to make your day that bit extra special; you don’t just have to get married on a beach that doesn’t offer any of these elements. Companies that specialise in weddings abroad may provide entertainment, staff, registrar, food and drink as well as the hiring of a room for the night party. If you do want a full package, be sure to check exactly what is and isn’t included in the price; never assume. On the other hand, companies may have a couple of elements included in the price e.g. staff, entertainment and food; in this case, you would have to arrange any extras yourself. You may have never heard of sky terrace weddings, but they are very real and could be a great alternative to a beach wedding if your looking for something a little different, but classy at the same time. Sky terrace weddings enable you to get married with some of the best views on offer; just imagine the view you would have if you were to get married on a sky terrace overlooking the sea or terrific scenery, such as a waterfall. This type of wedding may not be for everyone, but gives you a different perspective and option for your perfect day. 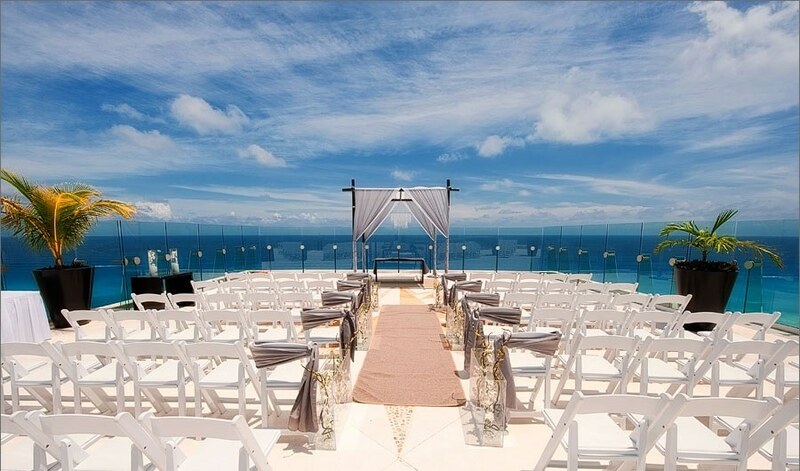 Destinations such as Mexico offer the sky terrace wedding, amongst other places. Just how romantic does that sound? You’ve seen movies with actors and actresses falling in love in the rainforest near a waterfall, well this could be your perfect wedding day. The scenery is second to none, yet simple, elegant and extremely romantic. 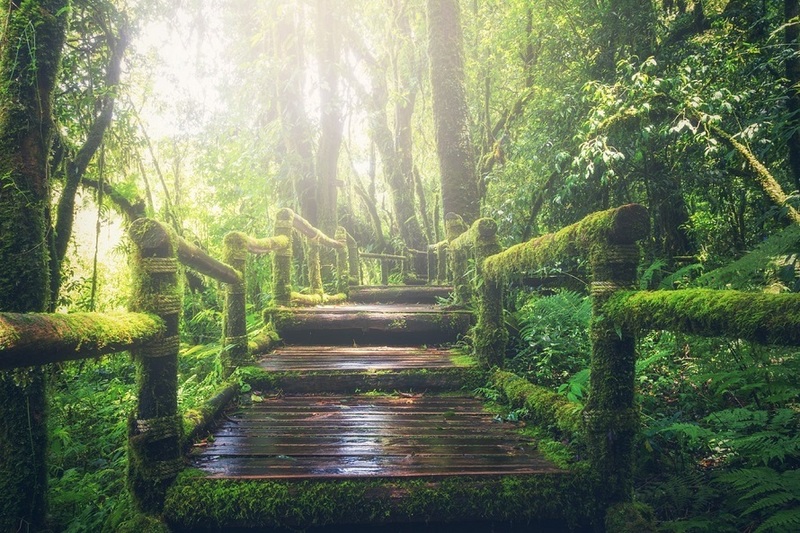 There are some great destinations that offer a rainforest wedding including, Australia. Ever thought about getting married in a nature reserve as something different? Well there are destinations in which you can do so and what better way to get married in the heart of nature. There are stunning backdrops and scenery along with all the other wedding extras you may need. Can you imagine yourself going on a safari as part of your wedding or honeymoon? If so, this could be the ideal wedding abroad for you. Destinations mainly include Kenya and South Africa. When planning weddings abroad, people often underestimate the effort and time this can take, so if your ever in-doubt regarding other wedding planning aspects, you can always ask the company your booking your dream wedding through if they have any recommendations on any additional aspects; remember your getting married abroad and you will need as much insight and advice as possible from experts/experienced personnel.